In his vivid and thought-provoking filmmaking debut, physician Ryan McGarry gives us unprecedented access to America's busiest Emergency Department. Amidst real life-and-death situations, McGarry follows a dedicated team of charismatic, young doctors-in-training as they wrestle openly with both their ideals and with the realities of saving lives in a complex and overburdened system. Their training ground and source of inspiration is "C-Booth," Los Angeles County Hospital's legendary trauma bay, the birthplace of Emergency Medicine, where “more people have died and more people have been saved than in any other square footage in the United States.” Code Black offers a tense, doctor's-eye view, right into the heart of the healthcare debate – bringing us face to face with America's only 24/7 safety net. When I first started documenting CBooth at LA County Hospital, as a first-year resident already working 80-hour weeks, I didn’t plan to make a film. In fact, no one asked me to make this. But I believe some of the best stories come from moments we witness in our everyday lives, and for me, everyday life just happened to be in one of the busiest Emergency Departments in the country. Code Black is, above all, an experiential documentary. I went to great lengths to capture the noise, the adrenaline, the commotion, and the fear of what life is really like in the ER. I used the RED camera and the talents of Richard Burton for sound design. I wanted the audience to feel like they are there with us, experiencing the highs, the lows, and all the frustration in between. I hope the film will also provide some crucial perspective on the current healthcare debate. To see what it’s like to be on the front line of providing care in this country shows just how difficult it is for physicians and nurses: try telling a patient that they need to see a specialist for their rotting foot, only to find out that the specialist will only accept a certain level of insurance. Or ask them to choose between being late for their night shift or wait yet another hour in the ER in the hope that they will see a doctor, who may not have a permanent solution for their illness anyway. The film features my colleagues and mentors–physicians who have, not by choice, inherited more than a few of the most weighty issues in America today. They are dynamic young men and women who grapple with their ideals and with the reality of practicing medicine. I thank them for being so incredibly open and honest with me and for being patient as they tolerated a camera documenting five long years of their lives. Towards the end of the film is a scene that consists of uncut picture and total silence. The greatest medical question we have yet to answer in America — where I believe we have both the world’s best and worst healthcare simultaneously — is what is the lowest standard of care we will allow each other as a society to have? The answer of course is silence because for too many people, we haven’t answered that question yet: the lowest standard we continue to allow is no standard at all. Ryan McGarry is an Assistant Professor of Emergency Medicine and a physician at The Weill Medical College of Cornell University/New York Presbyterian Medical Center in New York City and the director of the feature-length documentary Code Black. The film is a first-person reflection of McGarry’s own training at the Los Angeles County General Hospital, the birthplace of emergency medicine. McGarry spent five years in production on Code Black while simultaneously working the 24/7 schedule of a young doctor in training—an especially sleepless approach to first-time filmmaking! He studied English at The Pennsylvania State University and received his medical degree at The University of Pittsburgh School of Medicine, a decision inspired in part by his experience as a stage IV cancer patient while in college. 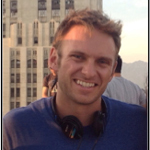 He is currently developing fiction, scripted projects for both film and television.